That's cool though, man. You don't really need a job, anyway. I vote on the impregnating. TheHumanDove wrote: I vote on the impregnating. Hey if you do get her preggers keep in mind that I already called dibs on your first kid. ...godfather dibs? has anyone else called it yet? Am I the only one who hates the term "preggers" ? Why are we talking about JP knocking some girl up? more like jp Knock-up, ya know what i'm sayin? Wow my camera is kind of dumb. No matter what I did, what mode or flash I used it refused to take a picture of my tv without darkening the picture even though my room is well lit right now. Anyway, here you go. Berto wrote: more like jp Knock-up, ya know what i'm sayin? Berto wrote: ...godfather dibs? has anyone else called it yet? One of the many weird internet phenomenon. Mudkip is a Pokemon. 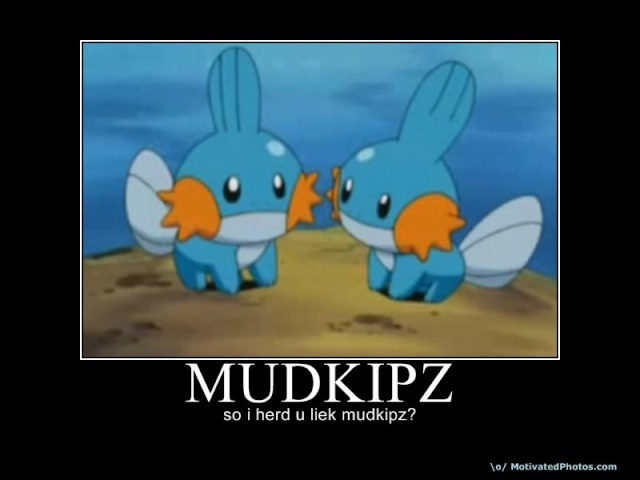 "So i herd you liek mudkipz" is a phrase that somehow is popular, and is kind of funny and dumb. For reference, that's a mudkip in my avatar. lol good stuff! whats ramen? jp KNOCKOUT wrote: lol good stuff! whats ramen? Only some of the best not-very-good for you food ever. And it's cheap. You know those wrapped up packages of hard noodles that come with a little flavour packet? That's ramen. someone thought I was a woman!?!?! ?